ProFantasy Software has been producing cartography software since 1993. We're driven by the desire to make software we can be proud of, and to treat our customers well. 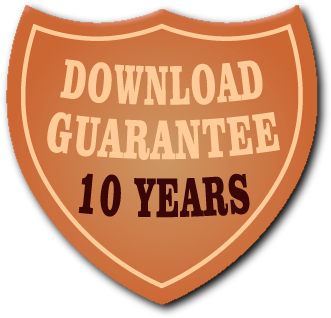 To support this, we offer a 14-day money-back guarantee, an upgrade guarantee and a ten-year download guarantee. For fifteen years our mail order customers have been able to re-download any product they've ordered from us. We want you to continue using your software even if you change computers, move, or lose track of what you've ordered. So, for at least ten years after ordering your software and probably a lot longer, you'll be able to download it again. We are confident that you will be pleased with any software you buy from us. If you buy any of our software from our store and it doesn't live up to your expectations for any reason, we'll give you your money back. Please let us know within 14 days of receipt of the software that you would like to cancel your licence and get a refund. If a major new version of our software comes out within three months of your purchase, you'll get a free upgrade. If a new version is released from 3 months to one year after your order, you'll get a 60% discount from the full retail price. Even if it's more than a year, we still offer a substantial discount for upgrades for at least five years from the release of a new version. We think our most potent defence is that we do not see your payment details, ever. Payments at our store are conducted on either PayPal's or Paypoint's servers, in a frame, so your card details never come into our network. When you make a payment, all we receive from the bank is a digital Yes or No and your name, address and email. Even Jack Bauer couldn't get your card details from us - because we simply don't have them. Of course, we do store your name, address and email - important information that we work diligently to keep secure. For example, Qualys SSL Labs give our SSL policies an A rating. But we sleep at night because, even if the worst happens and Jack gets his pliers and blow torch out, the most we can give is name, address and email. Not much more that you can read in a phone book.